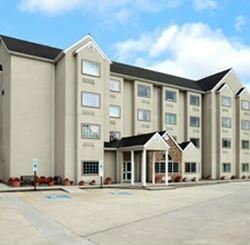 Our non-smoking Microtel Inn & Suites by Wyndham Robbinsville hotel near Lake Santeettah is an inviting stop on your Great Smoky Mountain adventure. Walk a bit of the Appalachian Trail and return to the comfort and convenience of our Robbinsville, NC, hotel in your 1 or 2 Queen Bed Standard Rooms, Queen Suite, King Jacuzzi Suite with amenities like free Wi-Fi Internet access and unbelievably comfortable Dream Well bedding. Located in Graham County, just a few minutes from the Great Smoky Mountains, Lake Santeetlah, Fontana Lake, Fontana Dam, Joyce Kilmer Memorial Forest, Slickrock Wilderness Area, Nantahala National Forest, the Appalachian Trail, Tail of the Dragon at Deals Gap, the Cherohala Skyway, Nantahala Whitewater Rafting, and Tsali Recreation Area. We invite you or your group to stay with us the next time you come to the mountains whether it's for a day or a week. Come experience the many adventures of Graham County! "From the moment we arrived we were greeted by the staff and they did everything possible to accommodate us with excellent service and care. We will definitely be staying there again." "Came up for a weekend with a group and were treated with such hospitality, we re-booked to come up again next year!" "Perfect location for our weekend with friends. Close to Tail of the Dragon, Restaurants, stores, etc...Staff was very friendly and accommodating!"